According to recent statistics, one in five people suffer from allergy and asthma symptoms. 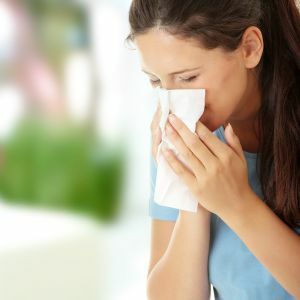 If you are one of these people, chances are that you’ve had an allergy attack in your home, with no clear definable cause as to what exactly set your symptoms in motion. Reducing the amount of allergens in your living space is not only beneficial from a cleanliness perspective, but in cleaning your home of potential allergens, you decrease the chances of having another spontaneous attack in your home. Floors – If you live in a home with hardwood floors, then consider yourself lucky. They attract much less dust than carpeting, and are much easier to clean and maintain. If you are in a carpeted home, then consider upgrading your vacuum to one that touts itself as being able to remove microscopic particles and allergens from the carpet. An upgrade in vacuums will usually work wonders for a house with allergy sufferers. Plush toys – Whether they belong to your pet or your child, plush toys are often overlooked as potential carriers of allergens. Make sure you wash them thoroughly on a regular basis. The same is true for pet bedding. Create an (almost) allergy-free room – Designate a room in your home to be the go-to place if you need a break from allergy symptoms. Use your bedroom if possible. Purchase allergen covers and casings for your bedding, keep pets from entering the room, and clean the room more often than you do the rest of the house. Curtains – Drapes, while being an attractive addition to the home, can collect dust, pollen, and mold spores. If you plan to add drapes to your windows, or refuse to give up the drapes you have, be prepared to give them the attention they’ll need to keep them dust and allergen-free. Air – If you live in a home with central air, be sure to replace your air filters regularly. Keep your windows closed on days that seem to be giving you trouble, and keep your air setting on recirculate. This will ensure that the air in your home is constantly being scrubbed of potential allergy triggers.